A dental implant is a restoration designed to provide a permanent replacement for a tooth that has been extracted due to disease or injury. 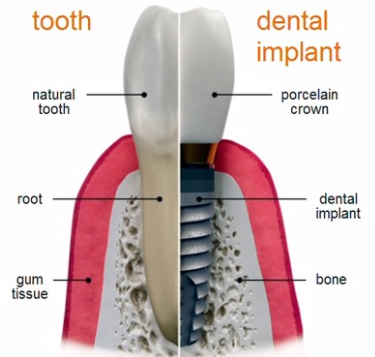 There are three main components to a dental implant. The crown or tooth, the implant body which acts as the root and the dental abutment, which is required to be properly placed to provide the connection between the crown and implant body so that the final restoration is perfectly aligned. The dental abutments function is to supply a secure and stable connection between the replacement tooth and the implant body, which is embedded surgically into the jawbone and has the function as the root in a natural tooth. 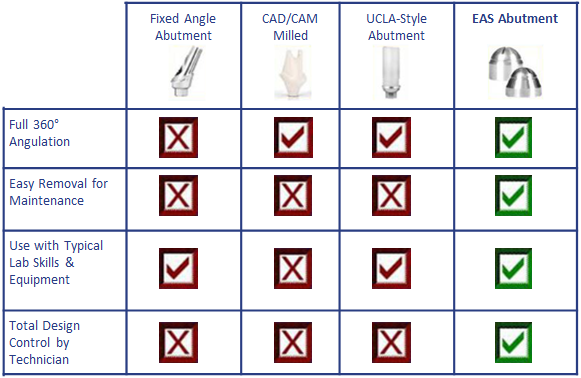 The Evolutionary Abutment System (EAS) is a patented proprietary technology designed for creating custom abutments that are compatible with most of the dental implants currently on the market. It was designed to fix complex issues of angulation and parallelism. Replacement teeth and mountings have to be perfectly straight and parallel to each other so that there is no pressure in the mouth which can cause the patient pain. While the dental implant market has grown substantially in size and improved types of materials and equipment are used today compared to 30 years ago, the basic difficulties for both the dentists and the dental labs in creating a perfect restoration have remain unchanged until now. The dental patient wants a pain-free, perfect white smile. The dentist relies on the dental lab to create or manufacture the prosthetic customized to fit the patient. The EAS is an economical solution that supplies superior benefits for all of these issues. The innovation in this collar is that it is designed to fit most manufacturer’s implant bodies, which reduces needed inventory in the dental labs and permits the dental surgeon to use the most appropriate implant body for each case. 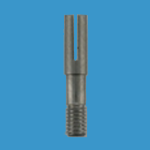 The right-hand thread on the fixation screw is opposed to the left-hand thread on the Transmucosal collar and is the first important step in overcoming the common problem of failure due to loosening. 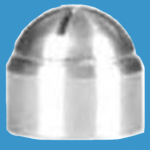 The casting cylinder can be waxed into any position desired onto the domal mounting head of the EAS abutment. 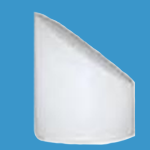 Use of Delrin Plastic means clean casting in any suitable dental alloy. 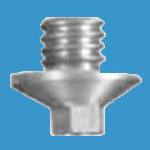 The thick solid EAS design permits shaping and optimum placement of lateral set screws in the crown for an aesthetic finished product. The EAS product lines simplicity is grounded in its innovative 4-piece design. Some competitive systems offer some of these advantages to a limited degree, but none offer all of these advantages. 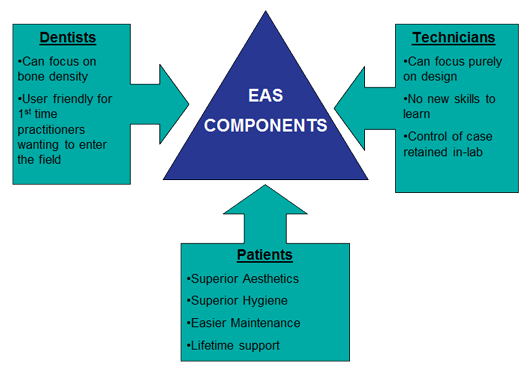 In addition to the competitive advantages shown above, The EAS solution provides numerous benefits for the dentist, dental lab technician and the patient.